As spring is approaching it's a good time to re-evaluate your pool equipment needs and pool maintenance issues. If you are thinking about putting in a pool or are getting ready to open your pool, consider changing out your sanitizing system from a standard chlorine one that uses tablets and shock to one that creates its own chlorine with a salt generator. We made the switch 5 years ago. Why did we go from standard chlorine to a salt system? 1. Chlorine tablets and shock are in a more concentrated form and thus harsher on your skin, hair and eyes. 2. 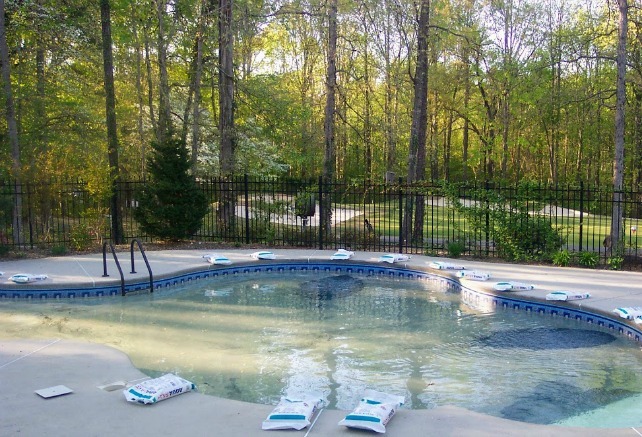 The initial investment is re-couped quickly by buying and using less pool chemicals.